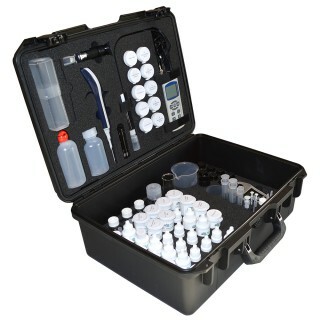 Accepta’s high performance automatic silt density index (SDI) test kit has been specially developed for reverse osmosis plant engineers, water treatment professionals; and building services and facilities management specialists with responsibility for the maintenance and management of reverse osmosis systems. 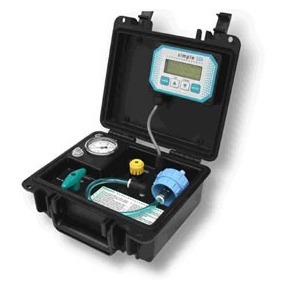 Accepta’s professional auto SDI test kit will allow reverse osmosis plant engineers and water treatment professionals to perform quick and accurate in-field testing and analysis procedures for a range of important RO plant parameters.Routine silt density index (SDI) measurement can prevent membrane fouling and improve the efficiency of reverse osmosis (RO) systems. The manual SDI method can be time consuming and on occasion prone to errors. By automating the test, Accepta’s Auto SDI kit provides an accurate, easy way to perform routine SDI measurements.Accepta’s Auto SDI test kit is compact, light weight and battery-powered. Additionally, our Auto SDI kits portability makes it ideal for trouble­shooting and routine monitoring of multiple RO systems. Performs SDI 5, 10 and 15 minute tests with both 100ml and 500ml sample size tests – provides useful data that’s impossible to obtain with the manual method. Especially helpful on high SDI waters. Real-time display of results including SDI, current flow rate and elapsed time. 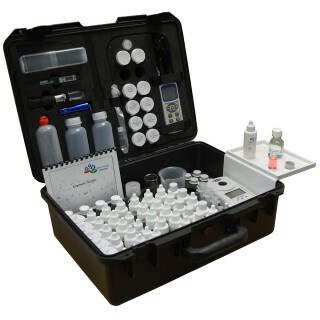 End of test display includes SDI 5,10 & 15 with 100 ml and 500 ml results. More accurate than hand testing (ASTM D 4189-07) – consistent results provide better information. Battery powered for true portability – conduct tests anywhere. Booster pump is an optional component of the standard kit. Electrical Battery: 6V 1.3 AH SLA type. 13 hours testing/charge. Solids: Free of solids. Filter to 50 microns minimum. If you require additional information or specialist technical support concerning our automatic sdi test kit please contact Accepta’s technical support team.